EDITOR’S NOTE: Horizontal Gaze Nystagmus testing is Part 3 of a DUI Training series. Other articles cover Vehicle in Motion, Personal Contact, Walk and Turn, One Leg Stand, and specific safety concerns when conducting DUI investigations. We encourage our readers to view all of the posts to become familiar with the overall SFST battery of tests. HGN is a very important clue in DUI investigations, but it is only one of many observations to successfully determine if a driver is impaired and to make a successful case for DUI. Nothing in this article qualifies you to administer the test. You must attend a traditional training course for that. This is an informational article, and procedures and other information can and will change after its publication. After observations of the Vehicle in Motion, and during our Personal Contact with the driver, the next step in the investigation of impaired drivers is to have them exit the vehicle for the Standardized Field Sobriety Tests (SFST). Let me go on record here concerning the decision to have people exit for SFST. This decision should not be made lightly or without reasonable suspicion that you indeed have an impaired driver. Officers should not randomly or wantonly removed drivers for SFST. The decision should be based upon articulable facts that would lead a reasonable officer in your place to come to the conclusion the driver may be impaired, and SFST are warranted. Failing to have reasonable suspicion of impaired driving is a good way to get a sustained complaint or even a lawsuit. IMPORTANT NOTE: The intent of this article is simply to refresh previously trained officer’s on techniques and methods used for the SFST, and to encourage those who have not been properly trained to obtain the required training to perform this important test. This article does not replace your State’s required training, nor certify you in anything. The Frye standard, Frye test, is a general acceptance test or examination to determine the admissibility of scientific evidence. This standard comes from the pivotal U.S. Supreme Court case of Frye v. United States. This legal standard provides that expert opinion based on a scientific technique is admissible in court only where the technique is generally accepted as reliable in the relevant scientific community, and the person testifying has relevant education and training in the technique to be able to provide said testimony. 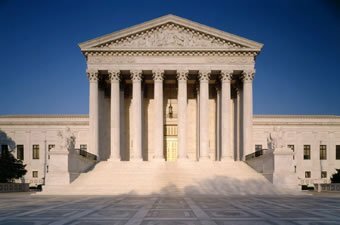 In the actual Supreme Court case the Court ruled, “the thing from which the deduction is made must be sufficiently established to have gained general acceptance in the particular field in which it belongs”. The defense attorneys in Frye had attempted to use an “expert” in deception, using a systolic blood pressure test. The Court properly ruled the technique had not been generally accepted in the medical or psychological professions, so any tests or testimony was properly excluded. The Frye Standard required the government to show the technique or tool was scientifically accepted. 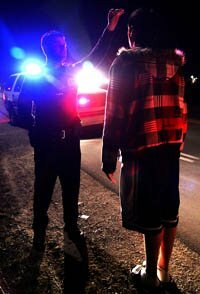 To satisfy the scientific requirements of Frye v. United States, the National Highway Transportation and Safety Administration (NHTSA) funded scientific research on sobriety tests starting back in the 1970’s. 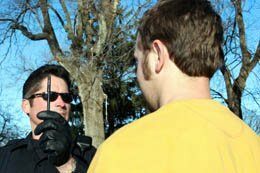 The results were the three “standardized and validated” field sobriety tests that most of us in police work have become most familiar with. “Standardized” means there is a set procedure for administering the test, and each officer should be trained to perform the test in the specific manner described by NHTSA. “Validated” means the appropriate scientific community has studied the test techniques, and confirmed through accepted scientific methods the tests do in fact work to identify impaired drivers. Final instructions on body requirements during test (the head to toe instructions). After each section I would ask the driver “Do you understand”. I would only continue when I obtained a verbal affirmative, which was conveniently recorded on audio and video equipment in the car. This played out extremely well because on each test the subject would have stated their understanding a minimum of four times! And if the subject says “no” to understanding something, I only repeat those parts they claim not to understand. This is consistent with the NHTSA SFST Manual. This break down also made it easy for me to ensure that all of the instructions from the NHTSA manual were provided. This article will focus on the administration of the Horizontal Gaze Nystagmus (HGN) test. This is probably the most difficult test to administer because the emphasis is on the officer, not the test subject, to get the test correct. The officer must follow the NHTSA standards of spacing and timing in order to get this test admitted in court. The officer must also show they have received a minimum of 8 hours of training on HGN to be able to have their testimony of the HGN test admitted in court. The positive side is that most courts around the country now accept HGN results as a very strong indicator of impairment. The Appellate Courts in my State have ruled, “…four clues on HGN is indicative of impairment”. That is a very strong statement from the courts and makes the administration of this test that much more important to our case. HGN – the involuntary jerking of the eyes as the eyes track horizontally. Officers should remember this definition, as it is a layman’s explanation of what we are testing for and easily remembered and understood by jurors. NOTE: All people have nystagmus (attorney question – its called Physiological nystagmus, explained at the end), but that nystagmus is not visible to the naked eye and requires doctor’s instruments to see. Alcohol and drugs enhance (do not cause) nystagmus as the eyes move horizontally and vertically. The nystagmus that officer’s are testing for is Gaze nystagmus, which is different from the other forms of nystagmus. I have provided a detailed explanation of the different types of nystagmus at the article’s conclusion. Think of it this way – the eye is a ball sitting in a fluid socket. Like any ball it naturally wants to rotate and move around. The eye muscles keep the eye on track, but the eye is always making small adjustments to accommodate for lighting, distance, and focus. Alcohol, and other drugs that enhance nystagmus, weaken the eye muscles from doing what they need to do to control the eye, bringing nystagmus to the visible point. And don’t you agree that an eye bouncing around would prevent someone from driving safely? Starting Position – Standing with feet together, heels and toes, with arms down to side. Basic Information – Explain that you’re going to move your finger left to right and they are expected to follow your finger with their eyes only. Demonstration – Actually position you finger and give an example pass left and right so they clearly understand your movements and intentions. Final Instructions – Watch your finger with their eyes only, do not move their head. Keep their arms down to their side, and do not move out of the starting position until told to do so (Remember to ask “do you understand” after each step). To be “standardized” the officer should start each examination with his finger in the center of the subject’s face. Then move to the right (subject’s left) to start each test. This is the way NHTSA teaches and should be followed by officers. OFFICER SAFETY ISSUE – I am going to go on record here to advocate officers use their finger as the test stimulus, and NOT some foreign object like a pen. I’ve never heard of an officer having his finger pulled off and used as a weapon against him, but I have heard of pens or other objects being used in that manner. In one demonstration at an SFST conference or training seminar a petite female officer was able to grab a metal pen from another officer “administering” HGN and stab that pen about 3-4 inches into a mannequin chest – through a ballistic vest! No thank you – my finger is just fine for me. Before starting any of the HGN tests the officer is required to place the stimulus approximately 12-15 inches from the test subject’s eyes and slightly elevated . This is very important because as the test progresses to Onset of Nystagmus Prior to 45 Degrees, the distance from the subject’s eyes is critical to establish the proper angle for testing. The slightly elevated part is to ensure you can see the subject’s eyes clearly. Intoxicated individuals will often have droopy eyelids, so raising your stimulus will require their eyes to be more visible. Every person has a limitation on how far their eyes will move. In addition, every person has a limitation on how well they can focus on a stimulus placed in front of their eyes. If the stimulus is too close – the person’s vision is blurred (cross-eyed). If we move the stimulus too far to the sides, the person cannot track it beyond a certain point and keep their head still. Standard paper is 8.5″ x 11″ and provides a good practice guide for establishing HGN distances. 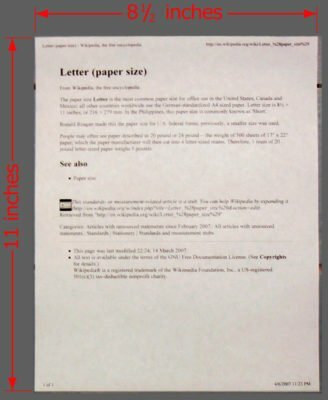 The easiest way for an officer to practice and create a muscle memory of what 12-15 inches looks like is to take a piece of copy paper (standard 8.5″ x 11″) and hold it horizontally in front of your partner’s nose. Don’t stick it in their eye, but use the bridge of their nose (boney part) as a resting point. Since the paper is not touching their eyes that gives you roughly an additional 0.5 inches. Your paper is 11.0 inches long. So move your finger about 1-3 inches further out and you have your 12-15 inch distance. Another method is to stretch your arm out and measure from your finger tips back to your elbow. This will often be between 12-24 inches depending on your height. This is your constant reference point. When having the subject get into the test position, stretch out your arm, but do not touch them (extend your arm just outside of their shoulder). Then, depending on your arm length, place your other arm at the appropriate distance (12-15 inches) that you know for your arm measurement. The reason this is so important is when we test for Onset of Nystagmus Prior to 45 Degrees we must create an right, isosceles triangle. In other words – a triangle with a 90-degree angle and (2) equal length sides. I know! More math in police work?! However, since you’ve established your 12-15 inches using your piece of copy paper, now all you have to do is make sure you move the 12-15 inches to the side of their nose. Use the same piece of copy paper, now turned length-wise from their nose, as a guide for distance. Equal distance of stimulus from their nose, and the distance stimulus is moved horizontally from their nose, means we’ve created a 45-degree angle! If you practiced nearly 12-inches, than your horizontal movement should be practiced to 12-inches. Same if your distance was greater – if you practiced 15-inches, than your horizontal movement should be out to 15-inches. The Pupil is the black circle in the middle of the eye. The Iris is the colored portion. This step is a 4-second total pass. The 4-seconds is from center of the subject’s face to their left maximum deviation, back all the way to their right maximum deviation, and back to center (4 seconds). This is a fairly quick movement, but not too fast that a sober person could not follow your finger. Take about a one second pause in between the tests. This should be completed twice to ensure proper observations, but an additional test pass can be conducted if the subject is uncooperative or failing to following instructions. Lack of smooth pursuit – eyes track equally, but the movement is jerky. If you see unequal pupil size your FIRST job is to ascertain why! If the person cannot answer reasonably call the paramedics! ***MEDICAL NOTE: This step is critical because lack of either equal tracking or equal pupil size could indicate a serious brain injury/trauma that needs immediate medical attention. Ask the subject about any such events. If they cannot answer with a valid reason, summon paramedics immediately! You have a duty to protect the person in your custody! I processed a guy who had been hit with a baseball bat 14 years earlier while he was playing as a baseball Catcher. Pupils were way off in size, but he’d been functioning fine since that incident. Note this observation and explanation in the report and move on. Don’t get a good reason from the subject? Call for paramedics and have them transported to a hospital where you can draw blood and have them medically examined. Protect yourself and the subject, that is your duty! The next step is to determine if the subject’s eyes move “smoothly” while following your finger. This is a slower movement that takes “approximately” 2-seconds from center to to left maximum deviation, then about 4-seconds to get to right maximum deviation (2 seconds to center, 2 seconds to opposite max. deviation), and then another 2- seconds back to center. This should be repeated at least twice for proper observation. NHTSA now directs officers to stop in the middle (nose) for approximately one second between tests of lack of smooth pursuit to ensure the test subject can re-focus on the stimulus if needed. More than two tests can be conducted if the subject is uncooperative or has trouble following instructions. If the eyes are jerky when following then you score lack of smooth pursuit. If they track smoothly then you do not score this clue. Each eye gets its own score. Another way of describing lack of smooth pursuit is like windshield wipers on a hot, dry windshield, or some have said like a marble going across sand paper. Maximum clues to be scored is 2 – (1 for each eye). 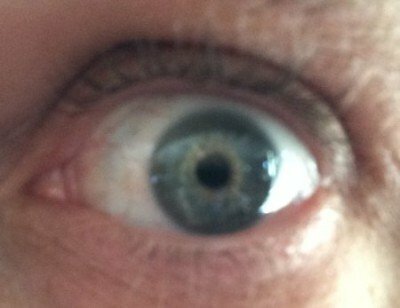 Nystagmus at maximum deviation is observing the “bouncing” or jerking of the eyes when the Iris (colored portion of the eye) is taken to the far corner of the eye with none of the white part of the eye showing in that corner. The nystagmus must be sustained, for a “minimum” of 4 seconds. VERY IMPORTANT – This is the only part of the HGN test that requires a minimum of 4 seconds of observation at maximum deviation. All of the other NHTSA time instructions are “approximately”, but maximum deviation is clear – “minimum”. Remember, the HGN test requires the officer to obtain a minimum of 8-hours of instruction and training in order to be able to testify to the results of the HGN test in court. So you take the subject’s left eye to maximum deviation in a movement that takes about 1 second from center, wait a minimum of 4 seconds, move across to the subject’s right side maximum deviation in about a 2-second movement (just slow enough for them to follow your finger), hold for a minimum of 4 seconds, and then about 1 second to center. Pause for about one second. That is one evaluation. Repeat the same process and if you are confident with your observations you are done with distinct nystagmus at maximum deviation. You do not need to stop at center to start the next pass, but if you’re a little weak on your tests it’s a good place to get your timing in balance. HERE’S A HELPFUL HINT – during this test you will count fast to yourself (trust me), so when counting by “one thousand one”, etc., count to about “1006” to make sure you get the full 4-seconds. Each eye is scored independently. Maximum clues to be scored is 2 – (1 clue per eye). There are good scientific reasons we hold the eye a minimum of 4-seconds. The clue requires “distinct and sustained” nystagmus at maximum deviation. As a person’s Blood Alcohol Concentration (BAC) goes up they will start to show signs of nystagmus at maximum deviation. 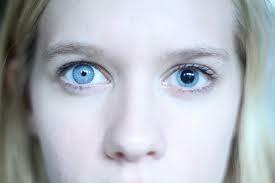 However, a person at say a .06% or .07% may only show that nystagmus for 2-3 seconds and then it will stop completely. This is why failing to hold the subject’s eye at maximum deviation for a minimum of 4-seconds will definitely cause the test to be tossed in court, and could cause you embarrassment when you put that subject on the BAC instrument at the station. Remember, we arrest for impairment – not a BAC score. Many officers see this phenomenon happen and then begin to doubt the accuracy of the tests. That’s why we do at least two passes to ensure what we are seeing. And on that note – the NHTSA manual says to do a “minimum” of two passes, but doesn’t say you can’t do more passes if something doesn’t feel right and you want to check things more closely. Dr. Karl Citek, who has done extensive work with NHTSA on the eye examinations, advises that you can hold the eye at maximum deviation for up to 15 seconds for observation before worrying about causing a fatigue nystagmus – where the eye muscles just get too tired to hold the eye in that position and start to show nystagmus for that reason alone. Remember – we are impartial investigators of the truth. Sometimes we will test people who are under the statutory legal alcohol limit. When you see this you’ve actually done a great job, and should start to realize this person is borderline impaired. They may still be too impaired to drive based upon your other observations because not all people handle alcohol or drugs the same. A person who takes their first “two drinks” ever might only get to a .05% but have difficulty standing, where a professional drinker could be a .150% and almost nail the other two tests in the SFST. That’s why HGN is so very important, because “the eyes are the windows to the soul” and they don’t lie. Regardless, of drinking ability, age, size or anything, HGN will show up and has been shown to be over 90% effective at finding the .08% BAC and above impaired driver. This is probably the most tricky of the HGN tests and requires the most practice and patience. This is because it requires the officer to move 12-15 inches from center of subject to maximum deviation, and time the movement to occur in “approximately” 4-seconds. The officer must also be a corresponding 12-15 inches from the subject’s eye line. This is what creates an isosceles triangle to guarantee 45 degrees. Finally, to ensure you’ve done the test correctly the Iris should not reach maximum deviation, as there should be some white of the eye still showing in the corner. During that time the officer must look for the first signs of involuntary jerking (nystagmus). Once observed the officer pauses there for at least one second to ensure what they observed is still present. I would recommend pausing for several seconds to avoid any doubt, and to present a much stronger case. If nystagmus is still there the officer can move back to center and start the process for the right eye. If the nystagmus is not there, the officer continues the process until observing nystagmus or reaching maximum deviation at the 4-second pace. This is a very slow movement, that requires skill to observe correctly, but has a great opportunity to determine greater impairment. Think of it this way – the sooner the nystagmus is observed, the greater the eye muscles are effected by the alcohol or drugs, meaning the greatest level of impairment. The one thing that officers must do is maintain a consistent movement of their finger (stimulus), otherwise you may actually induce a nystagmus as the subject tries to keep focused on your jerking finger. Taking the example of an officer reaching “prior to” maximum deviation with no signs of nystagmus, the officer should take about one second to get to center again, and then start the 4-second process on the other eye, with a one second return to center. This entire process should be repeated again for at least two passes to complete the evaluation. Maximum clues to be scored is 2 (1 per eye). NHTSA does allow the officer to conduct more than two passes per examination. If something happens and you’re not comfortable with what you saw, simply conduct another pass. This comes about quite frequently when the subject is uncooperative with doing the test. Document any reasons for more than two passes, but don’t sit there and do 12 passes or you’ll be accused of being on a fishing expedition. The entire test, if performed according to NHTSA standards involves a minimum of 14 passes and will take a minimum of 76 seconds to complete. And that’s if you go through every portion of the test, only stopping briefly as required by NHTSA standards. You can bet the defense attorney will be watching and counting! After completing the HGN tests keep the subject in the same position and ask them to follow your finger as you track in an upward motion. Keeping the 12-15″ spacing rule, position your finger in a horizontal manner in front of their face and slightly elevated. In a movement that takes approximately one second move your finger up about 12-15″ and hold that top most position for approximately 4-seconds. Repeat this process twice to ensure your findings. If there is a noticeable bouncing of the eyes when looking up, then the person is exhibiting VGN. If there is none, or it starts and then stops before the 4-seconds is complete, then that subject does not have VGN. Although not a clue that is scored, VGN provides invaluable evidence of impairment. Through training with Dr. Citek I was taught that the presence of VGN means that the amount of alcohol or drugs in the subject’s system indicates a high level of impairement for that particular subject. What that means is that the 100 pound woman or the guy that just had his first few drinks, who may only have a BAC of .08%, may still exhibit VGN because for them the alcohol or drug is causing greater impairment. The heavy drinker on the other hand, may have a BAC of .180% and not exhibit any VGN. VGN is, therefore, a great indicator of that person’s impairment. VGN, like HGN can be enhanced by alcohol, other CNS Depressants, Inhalants, and Dissociative Anesthetics like PCP. NOTE: The VGN Test is NOT a drug detecting test, or marijuana test as some have misinterpreted about the test. Only drugs that cause HGN will also cause VGN. These include CNS Depressants (including alcohol), Inhalants, and Dissociative Anesthetics (like PCP). FINAL NOTE: Dr. Citek conducted a NHTSA funded scientific study on the ability to perform HGN on subjects who were seated or laying down (supine). His results are now published in the scientific journals. Officers CAN perform HGN on seated and prone subjects so long as the subject’s head is in-line with the body. So if you want to do a preliminary HGN test on a subject who is still in their car you can, so long as you get them to turn slightly so their body and head are facing in the same direction. Same goes for that crash subject on the backboard. Remember, keep the subject’s head straight in-line with their body (no tilting, or turning of the head) and you can get your HGN test in. I hope this information clears up any confusion you may have had, educates you on some of the intricacies of HGN, and encourages you to use this skill to remove impaired drivers. If you’ve already been trained – happy hunting! If not, you still must go through a NHTSA approved SFST course to properly administer the tests and testify in court. Don’t be the officer that sets bad case law precedent! Ever since police have used Horizontal Gaze Nystagmus in determining impairment, the defense attorneys have wanted to throw the test out as bunk. This is because they know how damaging good HGN testimony can be to proving impairment. Remember, HGN came to police sobriety testing through medical professionals, and scientists. Testing for HGN is well known and accepted in the scientific and medical community. However, savvy attorneys will attempt to cast doubt on whether you saw HGN by trying to say it was another form of nystagmus. So, it behooves us to have at least a layman’s understanding of the other forms of nystagmus, and a counter to the argument the HGN we observed was caused by one of the other forms of nystagmus. Vestibular nystagmus is caused by movement or action to the vestibular system (inner ear). Rotational Nystagmus occurs when the person is spun around or rotated rapidly, causing the fluid in the inner ear to be disturbed. If it were possible to observe the eyes of a rotating person, they would be seen to jerk noticeably. Post Rotational Nystagmus is closely related to rotational nystagmus: when the person stops spinning, the fluid in the inner ear remains disturbed for a period of time, and the eyes continue to jerk. Caloric Nystagmus occurs when fluid motion in the canals of the vestibular system is stimulated by temperature as by putting warm water in one ear and cold in the other. Positional Alcohol Nystagmus (PAN) occurs when a foreign fluid, such as alcohol, that alters the specific gravity of the blood is in unequal concentrations in the blood and the vestibular system. Optokinetic Nystagmus occurs when the eyes fixate on an object that suddenly moves out of sight, or when the eyes watch sharply contrasting moving images. Physiological Nystagmus is a natural nystagmus that keeps the sensory cells of the eye from tiring. It is the most common type of nystagmus. It happens to all of us, all the time. This type of nystagmus produces extremely minor tremors or jerks of the eyes. These tremors are generally too small to be seen with the naked eye. Physiological nystagmus will have no impact on our Standardized Field Sobriety Tests, because its tremors are generally invisible. Horizontal Gaze Nystagmus occurs as the eyes move to the side (horizontally). It is the observation of the eyes for Horizontal Gaze Nystagmus that provides the first and most accurate test in the Standardized Field Sobriety Test battery. Although this type of nystagmus is most accurate for determining alcohol impairment, its presence may also indicate use of certain other drugs (Depressants, Inhalants, and Disassociative Anesthetics). They include brain tumors and other brain damage or some diseases of the inner ear. These pathological disorders occur in relatively few people and in even fewer drivers. If you’ve noticed some chopped sentences that didn’t make much sense, we had a little transfer issue when changing servers. Posts in the DUI series should be checked and cleaned up by the end of today. DirtyDoggg – it is obvious you have a hatred of cops, but your statements are not based upon fact. 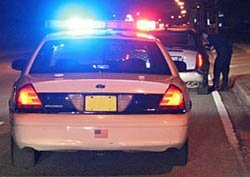 This particular article is just one of a series of articles on DUI enforcement. The decision to arrest looks at the totality of evidence. This includes the vehicle in motion – what traffic violations led to the officer stopping the car in the first place. Then it moves into personal contact with the driver – what signs were noted from simple conversation and observations, was the driver slurring words, was there an odor of intoxicants, open containers of alcohol or drugs in plain view. We observe how they are able to retrieve documents, how they exit the vehicle, how they walk and stand. The SFST tests (including HGN) are the last observations the officer does before making a decision to arrest. Everyone has nystagmus, but it is not visible to the naked eye. Alcohol and some drugs “enhance” the nystagmus to the point it can be seen by the naked eye. This is medical science, not police procedure. Impaired drivers continue to kill around 10,000 motorists each year. That’s about 30 per day or 1 every 51 minutes. Officers sworn to uphold the law should be praised for removing these dangerous drivers. It would appear by your bent that you or someone you know was removed from the roadway by an officer. Perhaps you or they should reconsider your driving behaviors. Perhaps you are mistakenly confusing stigmatism with nystagmus.